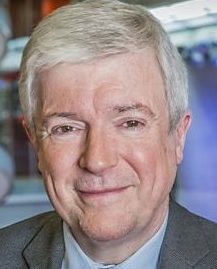 BBC director general Tony Hall marked the 50th anniversary of BBC local radio by reversing planned cuts of £10m to the service’s annual budget. But it remains unclear where planned cuts of £80m to the BBC budget will come from. These cutbacks were outlined by Hall in 2016 when he said total cost cuts of £800m a year would be needed at the BBC by 2022 to cope a freeze on the corporation’s £3.7bn a year licence fee income. The £80m of cuts to the BBC News budget are roughly equivalent to axing the News Channel and Radio 5 Live. BBC local radio had total costs of £112.9m last year, down from £119.8m in 2015/2016. The £10m in savings was expected to come out of the £77m BBC local radio “budget”. 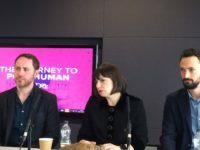 Speaking in Coventry Hall outlined plans to make the BBC’s network of 38 local radio stations more local with extra investment, rather than cutbacks. He said: “While other media are becoming creatively less local, I want us to become even more so and to connect with our audiences in new ways. Let’s play out some of those differences – let’s reflect them ever more keenly in our content. That must be the right thing for a public service broadcaster to do. “We should reach the entire community. We’re there to serve the Facebook generation every bit as much as the rest of us. We know music matters to young people – but they also tell us they want to know what’s going on where they live. He said the BBC has looked again at savings targets and now is not going to go ahead with the plan. Responsibility for the evening schedule is going back to local editors and the All England show, broadcast across the BBC local radio network, is to be scrapped. In the second quarter of this year the BBC’s network of local radio stations reached 8.2m listeners per week, according to Rajar, a 2 per cent drop year on year. Radio as a whole was said to reach 49m adults, up 2 per cent year on year. 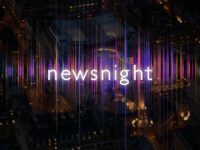 It would be a start if more emphasis was placed on reporting local news and if the BBC ditched the practice of having two presenters on programmes, filling hour after hour with witless “banter”.